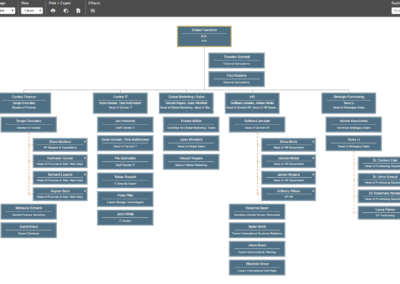 Ingentis org.manager and Ingentis org.manager [web] for SF – both enable the creation and publication of organizational charts that visualize company or team structures. 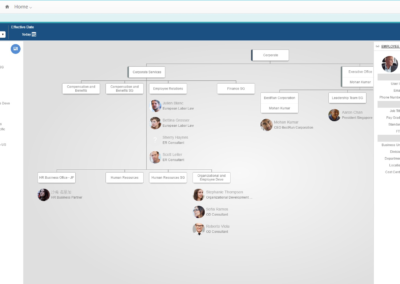 Thanks to our org charting software there are no limits to your creativity regarding the design, layout, or content of your organogram. 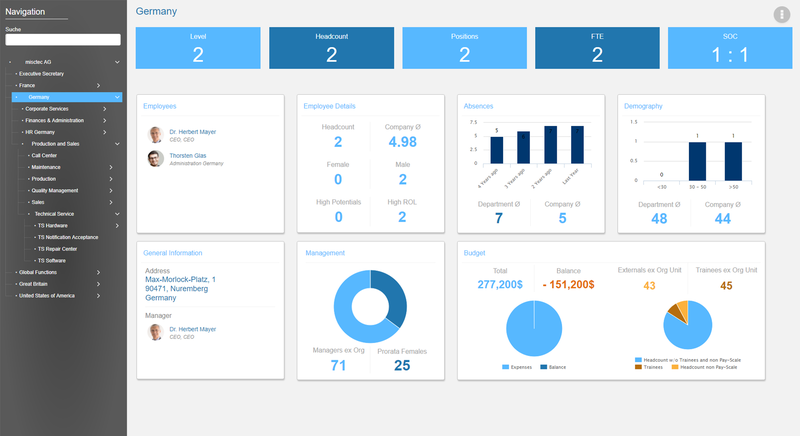 Whether kept simple for HR related tasks or more complex with key performance figures of your company, the Ingentis org.manager solutions make it happen. 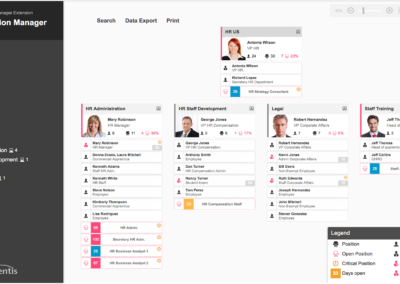 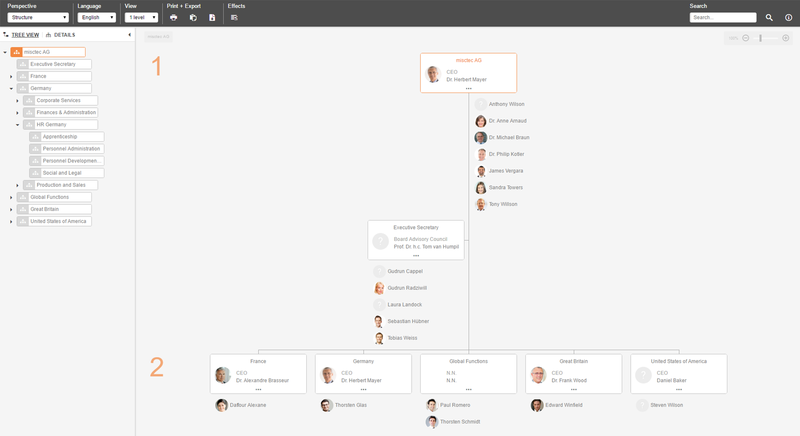 org.manager creates custom org charts fully-auotmated and enables visual HR controlling. 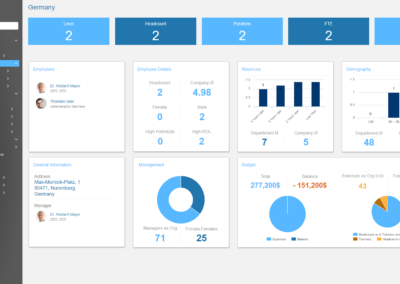 It interfaces with any HR system, flat file, active directory, or data base. 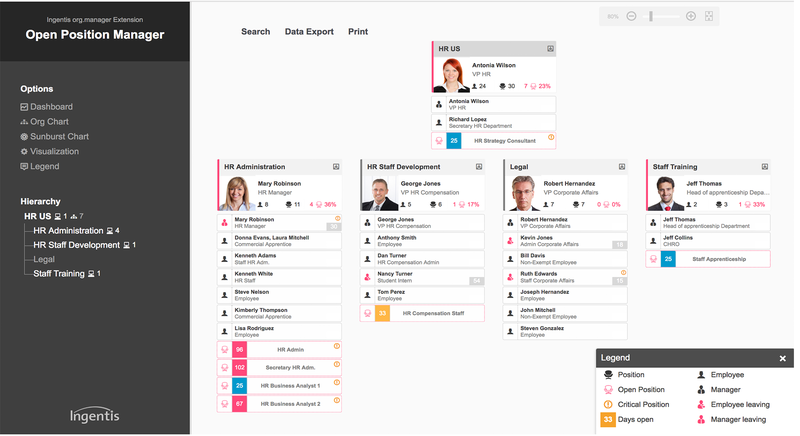 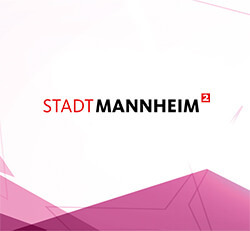 A simulation feature for modeling and scenario planning is also available. 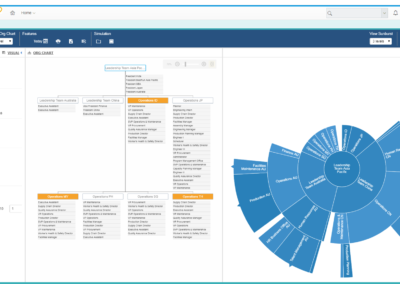 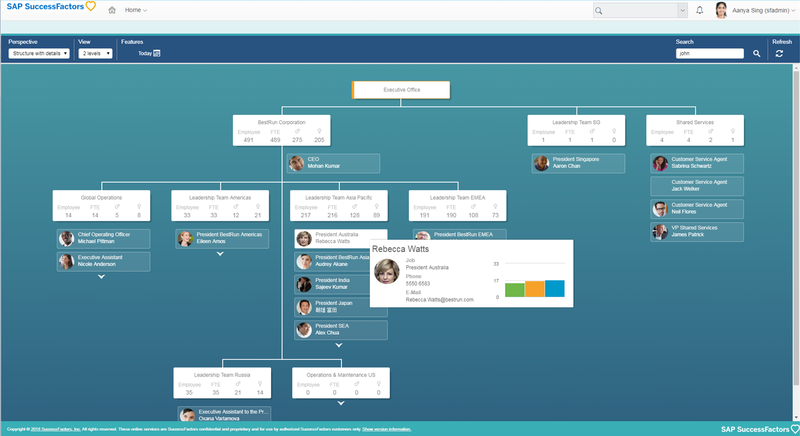 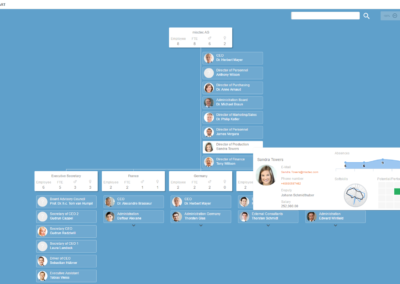 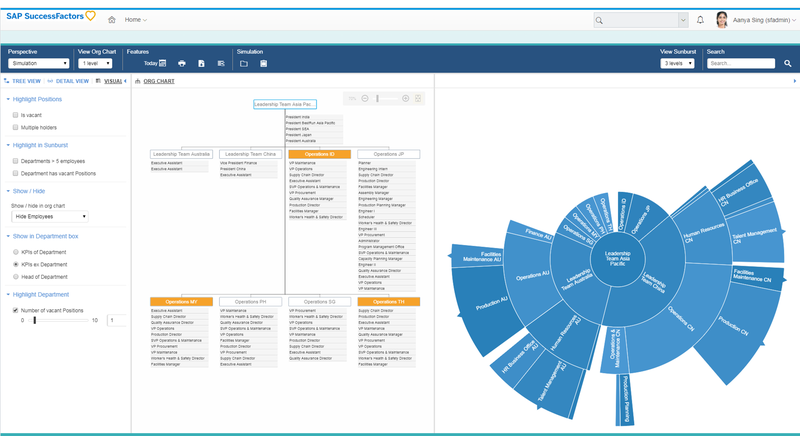 org.manager [web] for SF creates custom organizational charts from SAP SuccessFactors™ in real time. 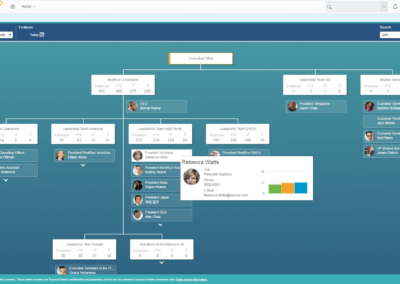 The certified extension build on SAP Cloud Platform allows for reorganizations via drag and drop. 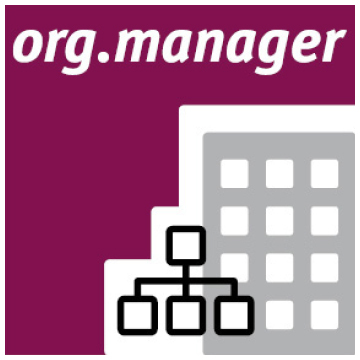 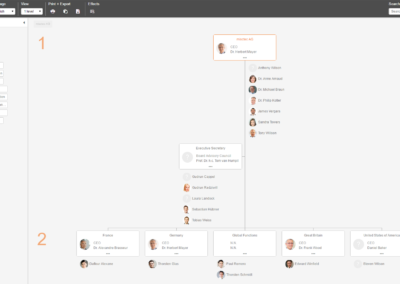 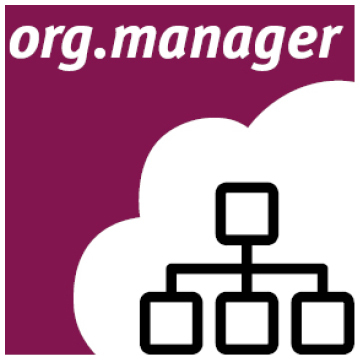 Here are some examples of how org charts by Ingentis org.manager can look like. 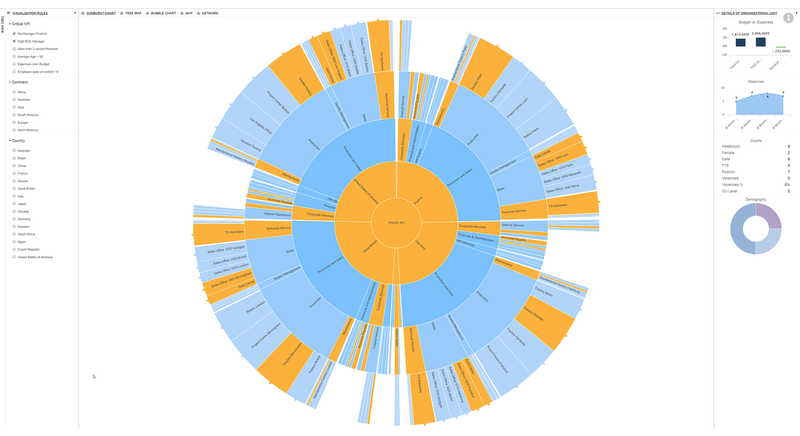 Feel free to click through them. 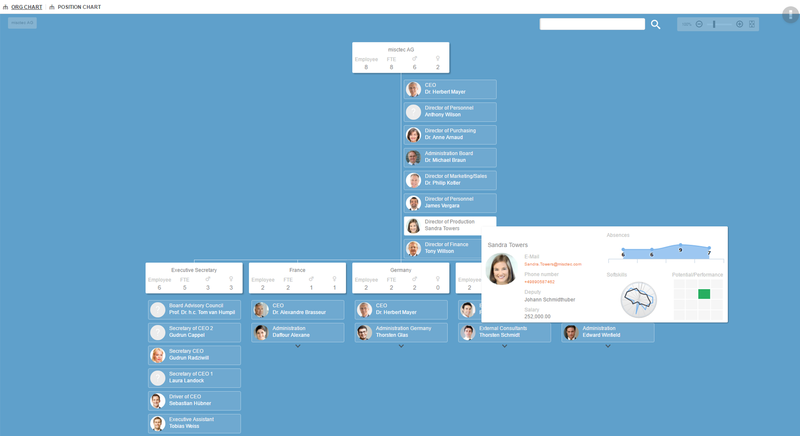 In addition, you can access our demo perspectives for a live org.manager experience. 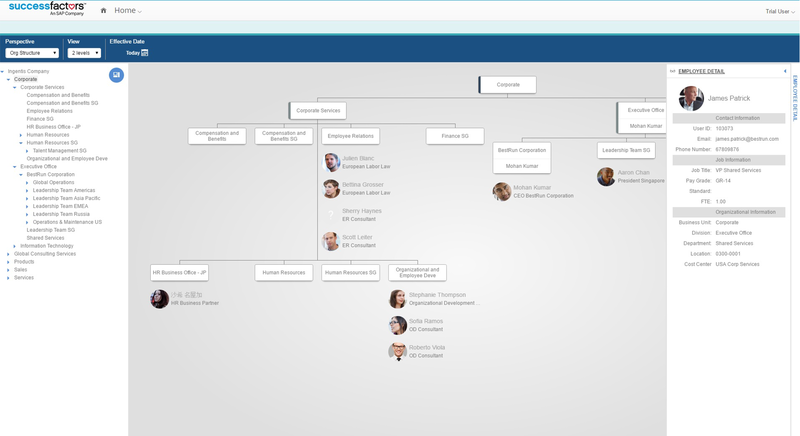 More than 1,500 customers world-wide are using organizational charting solutions by Ingentis. 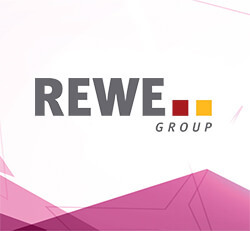 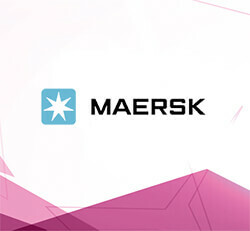 These include public organizations, small and medium-sized businesses as well as international groups and enterprises in sectors such as Industry and Automotive, Energy, Retail, Service, Finance, and the public sector. 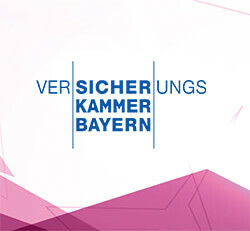 80% of all information the human brain processes are delivered by the visual sense. 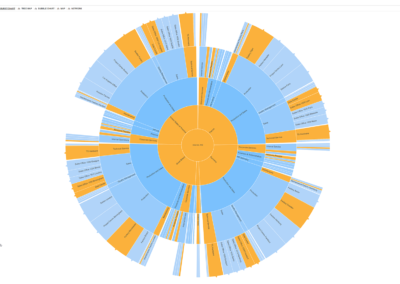 That’s why we believe that the quickest way to understand complex HR data is to visualize it. 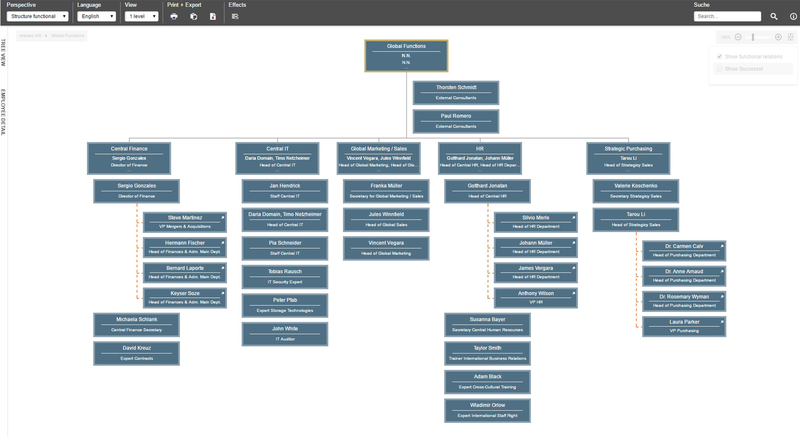 Check out how our org charting tools save you time and effort.